Protocol: Our base formulation that suits most people. Best option for active people under 40. The NEW 13-Day program is unique to Bio Body and is offered as a 2 product option. Bio Body SLIM 20ml and REINFORCE 20ml. We've combined our unique homeopathics into two formulas instead but for those who love our BOOST - taken with water - select it from the dropdown menu at checkout. Suitable for all ages, but particularly good for those who are inactive or recognise they have a slow metabolism or thyroid condition. The NEW 13-Day program is unique to Bio Body and is offered as a 2 product option. Bio Body SLIM 20ml and REINFORCE 20ml. We've combined our unique homeopathics into two formulas instead but for those who love our BOOST - taken with water - select it from the dropdown menu at checkout. Suitable for all ages, but particularly good for those who are over 40, long term dieters, or those who recognise they are emotional eaters. The NEW 13-Day program is unique to Bio Body and is offered as a 2 product option. 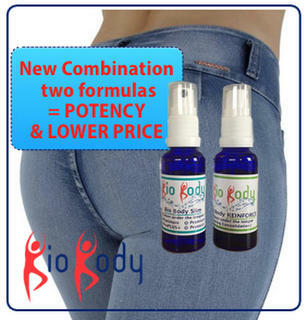 Bio Body SLIM 20ml and REINFORCE 20ml. We've combined our unique homeopathics into two formulas instead but for those who love our BOOST - taken with water - select it from the dropdown menu at checkout. The broadest potency Bio Body. Designed for people of all ages. Gives more flexibility for those who wish to exercise while on the program. The NEW 13-Day program is unique to Bio Body and is offered as a 2 product option. Bio Body SLIM 20ml and REINFORCE 20ml. We've combined our unique homeopathics into two formulas instead but for those who love our BOOST - taken with water - select it from the dropdown menu at checkout. Individual bottles of SLIM and Reinforce, available for single purchase to top/up your existing program. Prices start from $47.49.